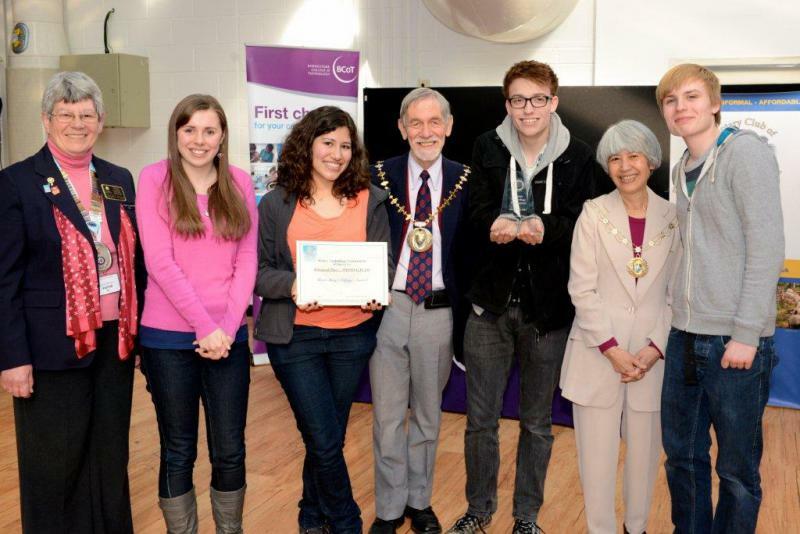 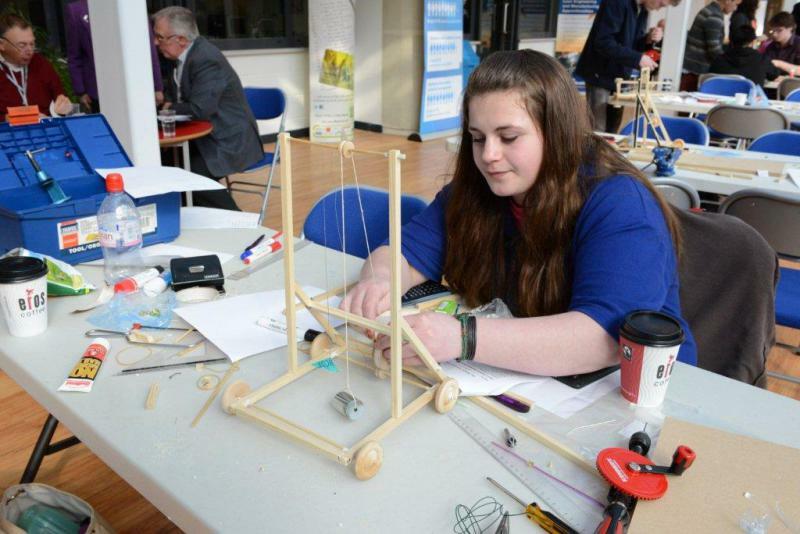 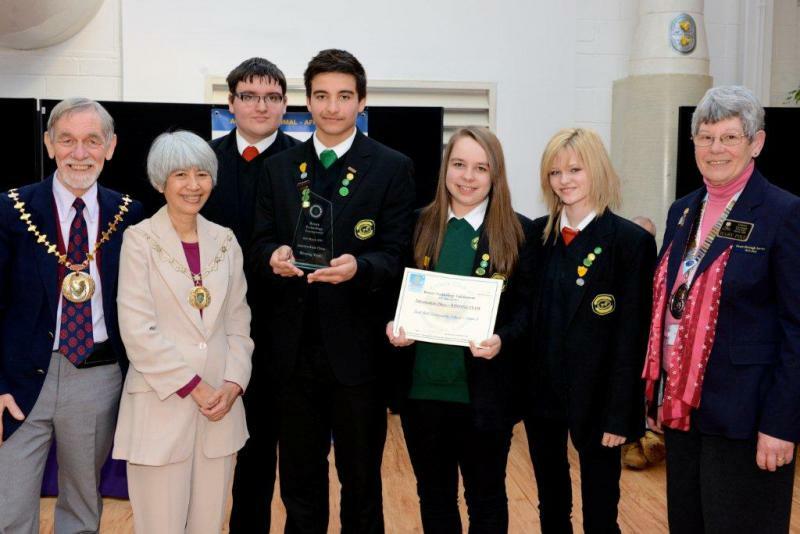 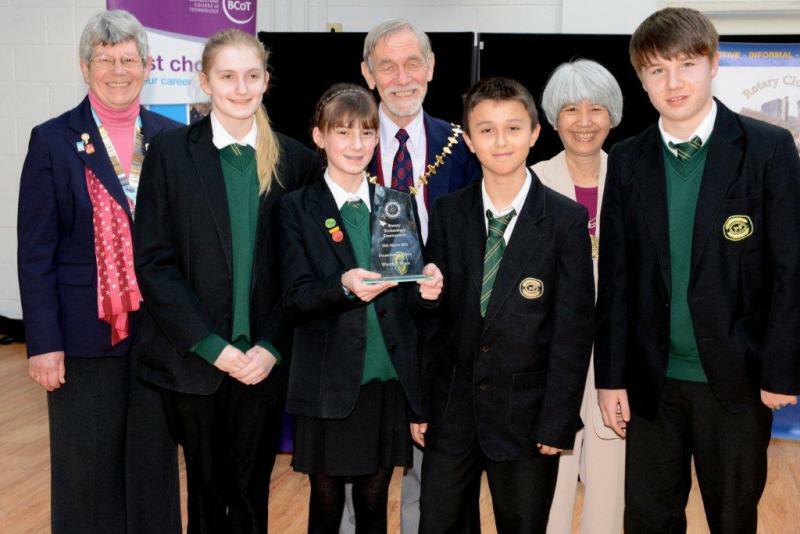 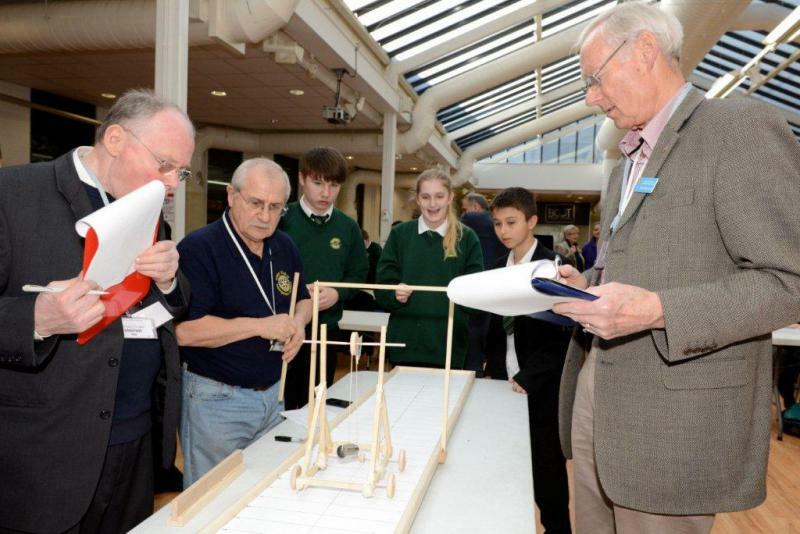 The Technology Tournament organised by Basingstoke Loddon Rotary in March at BCoT was a great success. 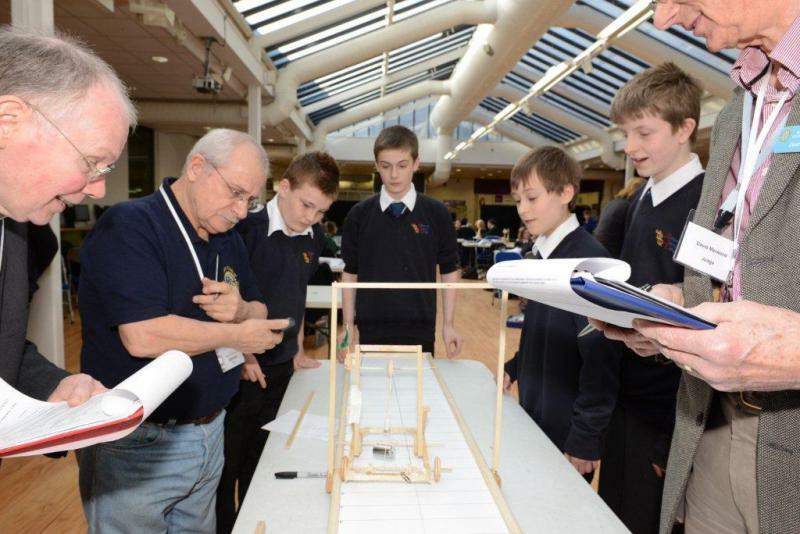 84 students from 7 local schools and colleges made up the 21 teams competing. 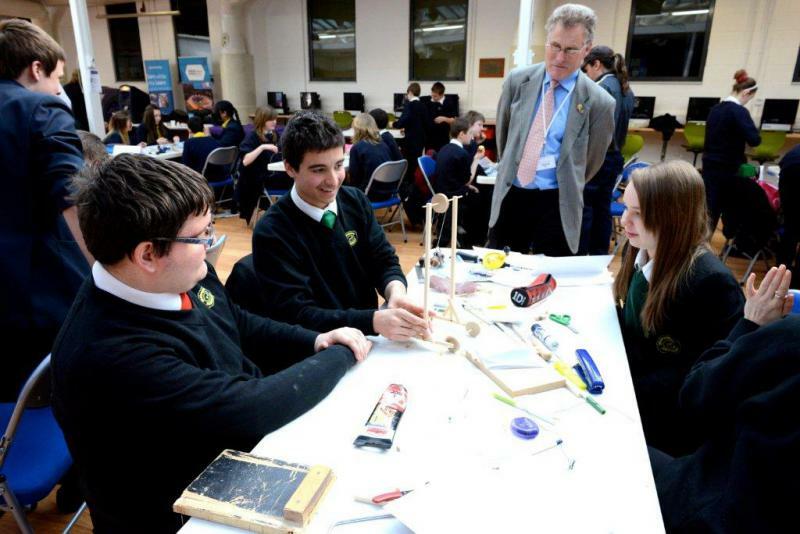 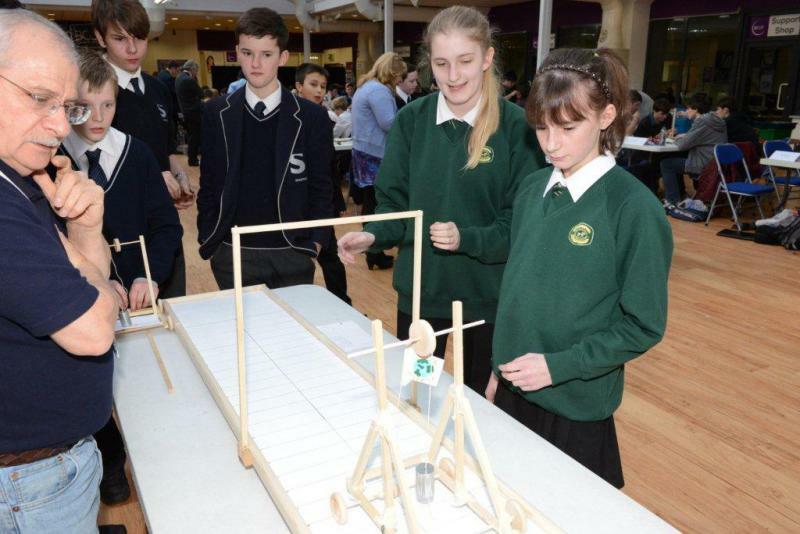 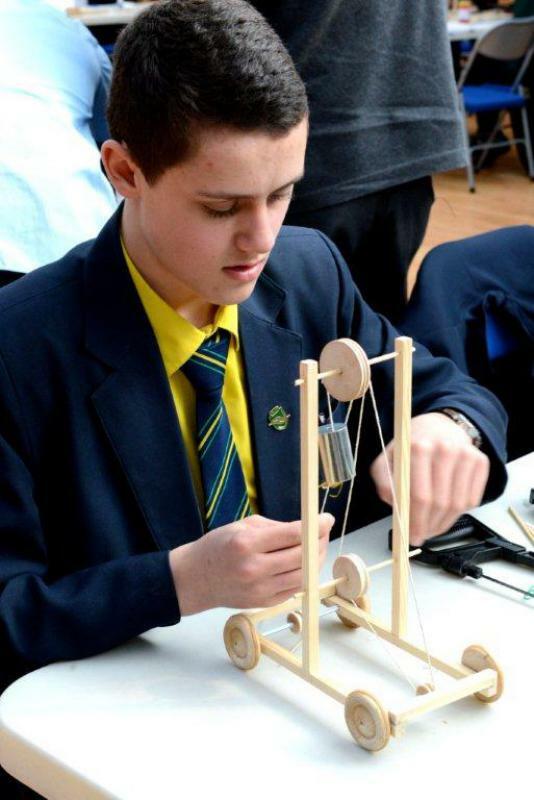 The task was to build a weight powered vehicle that would climb a rising track over a 1.5 metre length. 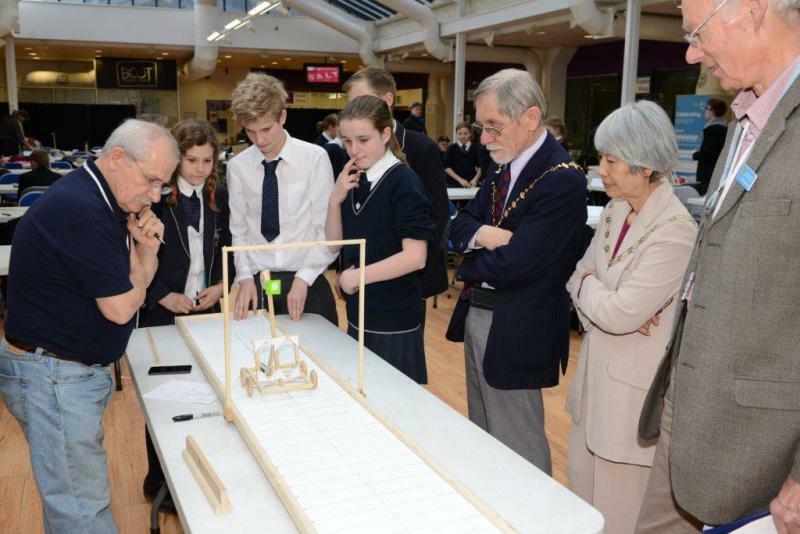 The gradient of the rise increased for the different levels of entry, which were dependent on age. 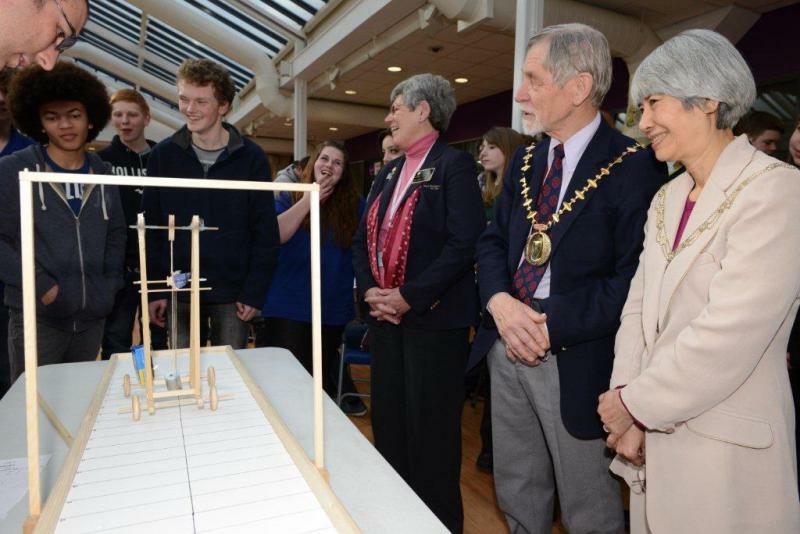 The vehicle was powered by a 200g weight.